Add a little animal attraction to your child’s wardrobe with these kimono style organic onesies designed in Brooklyn, New York by Ross Menuez for Salvor. Each long sleeved onesie is made using 100% organic cotton and silk-screened with environmentally friendly and child safe soy-based inks. The beautiful kimono animal onesies come adorned with either an elephant, gorilla or turtle. Wouldn’t your little one look adorable wrapped up in one of these lovely animal designs on crisp, cool spring morning? 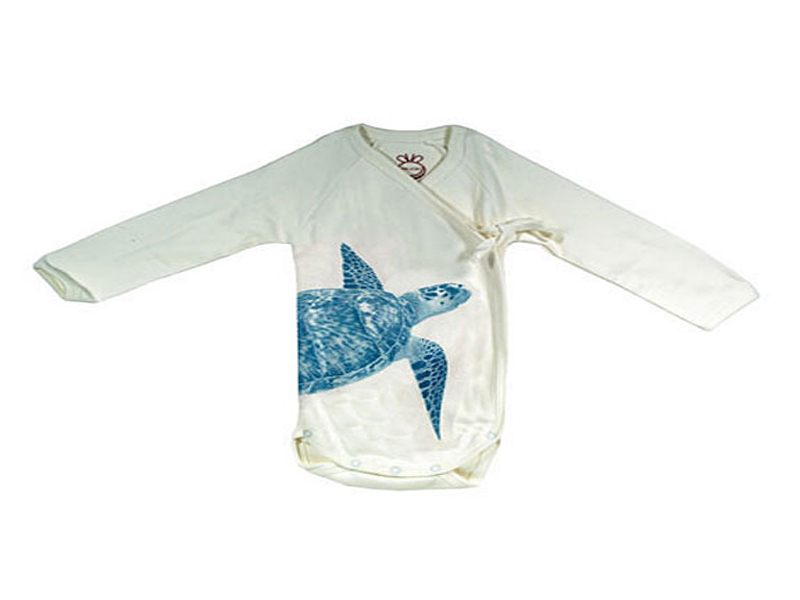 Add a little animal attraction to your child's wardrobe with these kimono style organic onesies designed in Brooklyn, New York by Ross Menuez for Salvor.�Each�long sleeved�onesie is made using 100% organic cotton and silk-screened with environmentally friendly and child safe soy-based inks. The beautiful kimono animal onesies come adorned with either an elephant, gorilla or turtle. Wouldn't your little one look adorable wrapped up in one of these lovely animal designs on crisp, cool spring morning?